Tuesday, April 9, 2019 at 7:00 P.M. at the Neligh City Council Chambers. A copy of the Open Meetings Law is posted on the east wall for the public. The Public has the right to public participation. 7:00 1 The Mayor will declare the meeting open. 7:01 2. The City Clerk will call roll. 7:02 3. The March 2019 special and regular meeting minutes will be presented for consideration. 7:03 4. The treasurer’s report for March 2019 will be presented. 7:05 5. Consideration and possible action for Antelope County Ag Society special designated liquor license for August 1st through 4th county fair will be held. 7:10 6. Discussion and possible action for sale of city property located south of the city water tower will be held. 7:25 7. Discussion and possible action for official newspaper publication will be held. 7:40 9. Ordinance No. 616 creating fence regulations will be held for consideration and possible action. 7:50 10. The Economic Development report will be presented. Consideration and possible action for Downtown Revitalization applications will be held. Discussion and possible action for Certified Local Government will be held. 8:00 11. The March Police Report will be heard. 8:10 12. The City Supt.’s report will be presented. Consideration and possible action for solid waste curbside carts and truck attachment will be held. Discussion and possible action for riverbank stabilization in Penn Park will be held. Consideration and possible action for water drainage from Countryside Acres onto Smeal’s will be held. Discussion and possible action for closing Wylie Drive for Old Mill Days Fireworks Display will be held. Consideration and possible action for pool employee applications as recommended by the Park Board will be held. Discussion and possible action for community clean up dates will be held. 8:25 13. Electric operations report will be heard. 8:35 14. Discussion and possible action for nursing home services will be held. 8:40 15. Bills will be presented for approval. Consideration and possible action for Drawdown #23 for project funds for completed projects will be held. 8:45 16. The Mayor will call for adjournment. NOTICE IS HEREBY GIVEN, that the regular meeting of the Neligh City Council will be held Tuesday, April 9, 2019 at 7:00 P.M. at the Neligh City Council Chambers. An agenda kept continuously current is available for inspection at the office of the city clerk. By virtue of an execution issued by the Clerk of the District Court of Antelope County, Nebraska, on a judgment where in First Premier Bank is Plaintiff and Cory S. Roland is Defendant, I will sell at public auction to the highest bidder for cash in the commissioners meeting room of the County Courthouse in Neligh, Antelope County, Nebraska, on Friday the 26th of April, 2019. Sale to be held open for 1 (one) hour. Notice is hereby given that the County Board of Commissioners of Antelope County, Nebraska will hold a County Board of Equalization meeting in the Commissioner’s room in the Antelope County Courthouse annex, Neligh, Nebraska on Tuesday, April 9th , 2019 at 9:15 AM, for the purpose of approving tax roll corrections, presenting over/under report, motor vehicle exemptions and various other items which may become necessary to act upon. Meeting will be opened to the public. 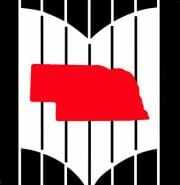 An agenda, kept continuously current, is available for public inspection at the Antelope County Clerk’s office and may be modified at such meeting to include items of an emergency nature pursuant to Section 84-1411 of the Nebraska Revised Statutes. *The agenda sequence is provided as a courtesy only. The board reserves the right to consider each item in any sequence it deems appropriate. Therefore, we encourage visitors to attend the meeting from the beginning. The tentative agenda contains a list of subjects known at the time of distribution. A copy of the agenda reflecting any changes will be available for public inspection at the administrative office at Orchard during normal business hours. This agenda may be changed up to 24 hours before the scheduled commencement of the meeting. The Mayor and City Council of the City of Neligh met in regular session at the City Council Chambers on March 12, 2019 at 7:00 P.M. as published. Approved February 12th special and regular meeting minutes and February treasurer’s report. Approved the 2017-2018 fiscal year audit prepared by Almquist, Maltzahn, Galloway & Luth. Approved the use of Penn Park for Neligh Young Men’s Club celebration of Old Mill Days fireworks display. Resolution 2019-4 approving an application for Lucky Joe’s Liquor Store LLC/ dba Lucky Joe’s Class C Liquor License 122916. Authorized the survey of proposed property south of the water tower. Ordinance 615 for the sale of city property formerly located at 209 Main Street. Authorized the city clerk to segregate the sale proceeds in the General fund for the sale of the city property. Resolution 2019-5 adopting a wage scale for city employees for competitive wages commencing March 2, 2019. Approved the Dial-A-Ride Public Transportation church contracts for $51.73 per week divided equally among participating churches. Authorized and approved the Dial-A-Ride Public Transportation events for the Nebraska Public Transit Week of April 7th – 13th, 2019. Ratified the mayor’s action and approve the 4-year tower lease renewal with Tommark Properties at $100 per month effective March 1, 2019. Resolution 2019-6 adopting the amended Section 125 Plan Document with BASE. 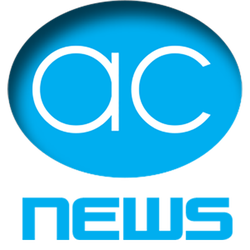 Approved a 2-year period publication with Antelope County News. Approved Antelope County News as the official publication for 2019 and 2020 and to revoke the city council action of December 2018 of naming Neligh News and Leader as the official publication. Appointed Melissa Smith to the LB840 Loan Committee for a 4-year term and Megan Wingate to the Library Board to fill an unexpired term to June 2020. Approved the special designated liquor license for Sly’s Family Bar & Grill for May 18, 2019. Approved the hiring of Mike Tabbert for the Assistant ED Director at $13.00 an hour effective March 1st. Accepted the letter of resignation from Jayce Ellenwood. Authorized the Electric Supervisor to offer an employment contract to new employees for payback of expenses in the education of the Merchant program. Drawdown #22 for project funds of completed projects for $2,210.48. A complete copy of the minutes is available for inspection at the office of the City Clerk during normal working hours. Notice is hereby given that the regular meeting of the North Central Public Power District board of directors will be held on Monday, March 25, 2019 at 6:30 P.M. at the District office, Creighton, NE which the meeting will be open to the public. The current agenda for the meeting, including a public comment period, shall be readily available for public inspection at the office of the District, during normal business hours. The Neligh City Council met for a special meeting on Monday, March 11, 2019 at 5:30 P.M. at the Council Chambers pursuant to posted notice on March 7, 2019. Present were Mayor Joe Hartz and Council Members Brent Pickrel, Leonard Miller, Ted Hughes and Dale Wilkinson. Also in attendance were City Attorney Jim McNally, City Clerk Danielle Klabenes, Lori Johnson, News Reporter Jenny Higgins, Steph Stuhr, Heidi Bitney, Jenny Breuer, Duane Eichberger, Steve Simonsen, Kathy Volk and Diann Arehart. • Lori Johnson of Great Plains Appraisal presented the findings of the feasibility and market study for an intermediate and skilled nursing facility and an assisted living facility. A complete copy of the minutes is available at the office of the city clerk during normal office hours. The Antelope County Planning Commission will hold a public meeting and public hearing on Tuesday, April 2, 2019 at the Antelope County Courthouse beginning at 1:00 pm. A public hearing will be held at 1:00 p.m. for the Ponderosa Acres Plat four lot subdivision by Keith and Tammy Dittrich on a tract in the N ½ NE ¼ 17-24N-5W. AN ORDINANCE OF THE CITY OF NELIGH, ANTELOPE COUNTY, NEBRASKA, AUTHORIZING THE SALE OF CITY PROPERTY; REPEALING ALL CONFLICTING ORDINANCES OR PARTS OF ORDINANCES AND PROVIDING AN EFFECTIVE DATE. That David Buller offered to purchase such property for the sum of $3,000.00 which offer was accepted by the Mayor and Council of The City of Neligh at their regular meeting on the 12th of February, 2019. SECTION 2. That the sale of the above described property be confirmed and ratified and the Mayor and City Clerk be and hereby are authorized and directed to executed for and on behalf of the City of Neligh a Warranty Deed to such property to the purchaser, David Buller and Melissa Buller, husband and wife, or their nominee. SECTION 3. That all ordinances or parts of ordinances in conflict are hereby repealed. SECTION 4. That this ordinance shall be in force and effect from and after its passage, approval and publication as required by law. I, Danielle Klabenes, clerk of the City of Neligh, Nebraska, hereby certify that the foregoing is a true and complete copy of Ordinance No. 615 of said city, passed by the City Council this 12th day of March, 2019. President Hoke called the meeting to order at 5:00 p.m.
No board members were absent. Motion by Hoke seconded by Schutt to approve the minutes from the previous meetings. RCV- Schwager, Clifton, Schutt, Hoke, Williby, Hergert. Approved 6-0. Motion by Schwager seconded by Clifton to approve the treasurer’s report. RCV-Schwager, Clifton, Schutt, Hoke. Approved 4-0. The next Unified Board Meeting will be held on Monday, March 18, 2019, in Clearwater at 7:00 p.m. Administrative reports were given. Items discussed were update on the elementary teacher opening and also the Ag teacher opening. The Northern Tier External Visitation is coming up March 27th and 28th. There was an AD meeting to discuss future coop details such as scheduling, practices, etc. Administrators will be meeting to discuss coaching. Board discussion on the KSB Memorandum: Consent to Multiple Representation and Conflict of Interest Form. The board had discussion on the election of members for bond and consolidation subcommittee. Hoke nominated Schwager seconded by Clifton. Schutt nominated Hergert seconded by Hoke. Hergert nominated Clifton seconded by Schwager. Approved by ballot vote Hergert and Schwager for the bond/consolidation subcommittee. The board had discussion on site location for possible consolidation. A central location was discussed. Board members were interested in finding out where the central location would be when taking into consideration the farthest point of each district. The board had discussion on possible options for future planning if the bond would fail. The Orchard Original Board cannot commit to renewing the current seven-year unification agreement at this time. In considering a contingency plan, Orchard Original Board would consider unification in the future. There was some discussion on summer projects. The HVAC system needs continued work. There are some rooms that may need carpeting, but we will have further discussion after the board walk-through is completed. Tami Kuhfal has submitted her letter of resignation to the NE Unified District #1. The letter was shared with board members. Motion by Schwager seconded by Clifton to approve Tony Tabbert and family mowing for $210 per mowing. RCV- Schwager, Clifton, Schutt, Hoke. Approved 4-0. Motion by Clifton seconded by Schutt to approve the 2019-2020 calendar as presented. RCV-Schwager, Clifton, Schutt, Hoke. Approved 4-0. Our next meeting will be held on Monday, April 1, 2019, at 5:00 p.m.
President Hoke adjourned the meeting at 6:43 p.m.
Chairman opened meeting. Notice of meeting published as required by statute. Open meeting posted. Approved minutes of March 5th, 2019 meeting. Correspondence and Pledge Collateral was reviewed. Treasurers Fund Balance and Fee Reports reviewed. Clerk of the District Court Fee Report and Sheriff’s Fee report reviewed. Zoning Administrator Report was heard. Upstream violation released. Approved Hild bid for repairing HHS ceiling. Extension educator introduction and Ext Office review. Approved occupancy permit for ERPPD. Bid opening and (acceptance of bids) for Gravel (all bids), Armor Coat (Sta-bilt), Asphalt (Jebro) and Culverts (all). Met with representatives from TransCanada regarding construction, access & underground permits and Road Haul Agreement. Met with Merit Mechanical regarding repair bill. Approved Decommissioning Plan with updates. GPS for R&B equipment was discussed and tabled. Approved visual equipment for meeting room. Sheriff Moore justified the NIBRIS bill. 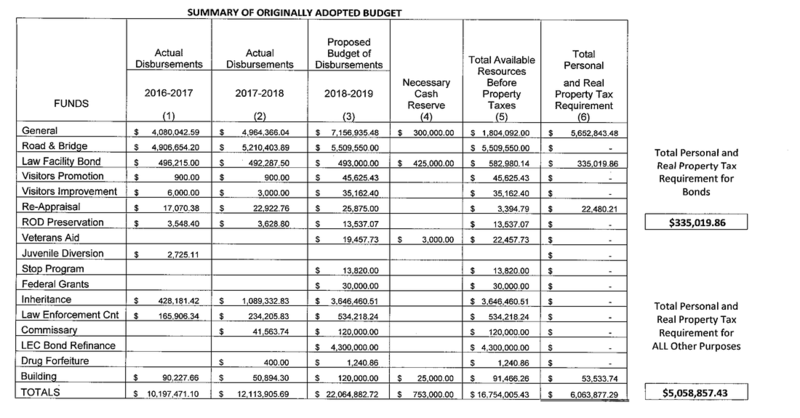 General Fund: Antelope Co Court, ex 318.00; Antelope Co Dist Court, ex 177.00; Antelope Co Sheriff, ex 40.25; Antelope Co Treasurer, ex 427.00; Appeara, ex 39.77; Applied Connective, ex 614.32; Bear Graphics, ex 347.13; Black Hills Energy, ut 1370.33; Blue360 Media, ex 137.15; Bomgaars, ex 256.36; Boyd’s Electrical, ex 122.50; Dean Brown, ps 25.00; Casey’s Business Card, ex 1054.63; Elgin City, ex 250.00; Neligh City, ut 3893.38; Clearfly Comm, ut 161.44; Clearwater Record, ex 988.35; Cubby’s, ex 289.37; Das State, ex 575.68; Doerr & Klein, ex 2555.82; Dollar General, ex 24.00; Dusty’s, ex 221.15; Eakes Office, ex 290.85; Election Systems, ex 1027.93; Elgin Review, ex 465.21; Elite Office Prod, ex 282.16; Frontier Comm, ut 2314.31; Great Plains Comm, ut 489.26; Darrell Hamilton, ps 11.00; Lyle Hart, ps 200.00; Hilltop Auto, ex 138.95; Holiday Inn, ex 314.85; Nadene Hughes, ps 14.00; Iowa Prison, ex 8.35; Jack;s Uniforms, ex 468.74; Jonny Dodge, ex 239.00; Lyle Juracek, ex 75.00; Rodney Smith Law, ex 700.00; M & O Door Prod, ex 127.56; Microfilm Imaging, ex 87.00; Midwest Sprinkler, ex 320.00; MIPS, ex 701.02; Cornhusker Intl Truck, ex 48.00; Nebr Assn Co Treasurers, ex 180.00; NE Health & Human Ser, ex 186.00; Neligh News, ex 1200.25; NE Nebr Assn Officials, ex 225.00; Office Depot, ex 227.44; Office Solutions, ex 175.41; Lisa Payne, ex 175.95; County Clerk-petty cash, 15.00; Pitney Bowes, ex 7131.90; Pitzer Digital, ex 413.51; Quill Corp, ex 170.36; Region 4 Behavioral, ex 11,773.00; Janice Ridder, ps 10.00; Caroline Siems, ps 25.00; Sinclair, ex 356.76; Smpc It Solutions, ex 4858.00; John Thomas Law, ex 1042.80; Thomson Reuters, ex 186.00; Uline Supply, ex 84.60; Unl Its Comm, ex 91.04; Unl Print Services, ex 325.69; Us Cellular, ut 359.47; Verizon, ut 82.13; Clearwater Village, ex 250.00; Bonita Welke, ps 22.00; Brieanne Werner, ex 131.06; Woods & Aitken, ex 116.00; Zee Medical, ex 11.35; 319 Graphics, ex 35.98. Road & Bridge Fund: Ag & Industrial Equip, ex 23.76; AMH Family Practice, ex 36.00; Beckman Lbr, ex 31.00; Black Hills Energy, ut 882.80; Bomgaars, ex 362.07; Carhart, ex 50.94; Carquest, ex 15.37; Tilden City, ut 69.29; Constellation Gas, ut 522.53; Cubby’s, ex 114.63; Dusty’s, ex 84.64; Elkhorn Public Power, ut 348.62; Farmer’s Pride, ex 9008.17; Frontier Comm, ut 393.17; GIS Workshop, ex 3920.00; Great Plains Comm, ut 264.80; Green Line Equip, ex 136.18; Jeo Consulting, ex 8383.25; Lawson Products, ex 241.01; Lazy T Tire, ex 52.50; Matteo Sand, ex 1016.40; Medical Enter, ex 70.00; Mr S’s, ex 308.56; N & B Gas, ut 992.25; NE Public Power, ut 305.17; Neligh Auto, ex 97.96; NE Nebr Telephone, ut 97.30; Powerplan, ex 304.06; Quality Iron, ex 137.74; Road Builders, ex 1469.84; Royal One Stop, ex 165.83; Sapp Bros, ex 1842.58; Larry Schroth, ex 158.00; Sinclair, ex 133.11; Verizon, ut 108.39; Brunswick Village, ut 46.50; Clearwater Village, ut 74.50; Orchard Village, ut 82.50. Law Center Bond: Bok Financial, ex 54,907.50. Visitor Promo Fund: Orchard Historical Society, ex 300.00. Reappraisal Fund: Cornhusker Hotel, ex 308.00. Register of Deeds: MIPS, ex 309.90. Law Enforcement Fund: Cash-Wa Dist, ex 2928.54; Combined Public Comm, ex 1800.00; Control Masters, ex 1222.00; Cornhusker Truck, ex 378.00; Culligan, ex 48.25; Dollar General, ex 28.45; Faith Regional Services, ex 810.00; Jonny Dodge, ex 14,970.00; Justice Data Solutions, ex 28,250.00; Labcorp, ex 95.00; Nebraska Bean, ex 12.00; Neligh Family Dentistry, ex 469.00; Thriftway Mkt, ex 227.97. Commissary: Bob Barker Co, ex 822.36; Cash-Wa Dist, ex 143.35; Keefe Supply, ex 503.04; Omaha World-Herald, ex 184.08, Ray Payne, ex 105.00; Thomson Reuters, ex 324.00; Flenniken Electric, ex 148.48; K & T Central Plains, ex 389.14; Kerkman Electric, ex 1433.57; PV Business Solutions, ex 298.50; Merit Mech, ex 4767.00. General: Payroll, $87,379.36; Ameritas, ret 13,188.99; BC/BS, 66,295.88; Garnishment, 1242.75; Colonial Life, ins 3.25; 1st Concord, ins 816.66; WH, 8,189.25; Liberty National, ins 39.17; Madison National, ins 96.87; ST, 3384.10; Naco Vision, ins 529.83; SS, 17,392.50; Washington National, ins 886.28. Road & Bridge: Payroll, 47,761.84; American, ins 181.87; Ameritas, ret 6604.55; BC/BS, 25,826.36; Colonial, ins 18.00; Garnishment, 393.13; WH, 4138.03; 1st Concord, ins 345.83; Liberty National, ins 70.92; Madison National, ins 49.89; NACO, ins 926.34; ST, 1601.58; Naco Vision, ins 147.15; SS, 9,378.40; Washington National, ins 302.80. Emergency meeting called to facilitate the State of Emergency declared by the county on Wednesday, March 13th , 2019. Chairman opened meeting. Discussion of various incident scenes and repair option and ideas discussed. General ideas and resources were reviewed. Travel band discussed. Approved having County Assessor contract for aerial photos of Antelope County to help document damage/conditions. Members of City/Village Boards, Fire Department Personnel and City Superintendents were in attendance. Chairman opened meeting. Emergency Manager and Chief Emergency Manager discussed various issues that are and maybe occurring. Documentation and various forms were reviewed. Approved up to $10,000.00 of emergency relief from Inheritance Fund if needed. Village of Royal held its regular meeting March 4, 2019 in the Royal Fire Hall. Board members present were Dennis Bridge, Max Hieter and Jim Bright. Not present was Butch Hergert and Duaine Brandt. Meeting to order at 7:30, Nebraska Open Meeting Act recognized. Bills: Keys Sanitation, $332.00; Antelope Co News, $17.59; Roechelle Reuss, $45.00; Chellie McElhaney, $200.00; N&B Gas, $589.25; Antelope Co. Clerk, $11.79; Postmaster, $50.00. Motion to pay bills by Bridge, seconded by Bright. All aye, none nay, motion carried. Motion made by Bridge, seconded by Bright to adjourn meeting. All aye, none nay, motion carried. The Village of Royal will hold its regular board meeting April 1, 2019 at 7:30 in the Royal Fire Hall. The agenda is kept current with the village clerk. The Village of Orchard held its regularly scheduled meeting on February 11, 2019 at 7pm. Board members present were Dennis Clifton, Dwight Van Ostrand, John Ferguson, Curt Mitteis and Glen Cheatum. Others present were Stephanie Cleveland, Tammy Cheatum, Bruce Horstmann and Brenda Harrison. Called to order at 7pm. Minutes for the January 14, 2019 meeting were approved as presented. 68 hrs and 44 minutes were spent in Orchard in the month of January with 1 911 call. OEDA: Stephanie Cleveland and Tammy Cheatum were present to discuss the Special Election proposing the 1.5% sales tax. The ballots will be mailed to registered voters by March 1, 2019. The OEDA held an informational meeting on this topic February 22, 2019 in the REX Theater. They will hold another meeting on March 4, 2019 in the REX Theater. The public is encouraged to attend. The Village board closed the bid process for the Rescue Unit addition. Curt Mitteis made a motion, seconded by Dwight Van Ostrand to table the single received bid to get clarification on the proposal. Aye: Curt Mitteis, Dwight Van Ostrand, Glen Cheatum, John Ferguson and Dennis Clifton. Nay: None. Motion carried. Glen Cheatum made a motion, seconded by Curt Mitteis to approve the treasurer’s report as presented. Aye: Glen Cheatum, Curt Mitteis, John Ferguson, Dwight Van Ostrand and Dennis Clifton. Nay: None. Motion carried. Reviewed bills: Glen Cheatum made a motion, seconded by Dwight Van Ostrand to approve bills as presented. Aye: Glen Cheatum, Dwight Van Ostrand, Curt Mitteis, John Ferguson and Dennis Clifton. Notice: The Village of Orchard will hold its regularly scheduled meeting on March 11, 2019 at 7pm in the Orchard Community Room. The Agenda is kept current in the Village office. Notice is hereby given that a final account and report of administration and a Petition for complete settlement, adjudication of intestacy, determination of heirs, and determination of inheritance tax have been filed and are set for hearing in the County Court of Antelope County, Nebraska located at 501 M Street, Neligh, Nebraska 68756, on March 20, 2019 at or after 9 o’clock a.m. The agenda sequence is provided as a courtesy only. The board reserves the right to consider each item in any sequence it deems appropriate. Therefore, we encourage visitors to attend the meeting from the beginning. Approved Agenda, Minutes of February 5th, 2019 and February 12th Board of Commissioner Meeting and February 12th, 2019 Board of Equalization. Road Superintendent Report: Tabled Occupancy Permit and GPS Monitoring Equipment; TransCanada Road Use Agreement was discussed. Zoning Administrator Report was heard. Zoning Permit Report. Discussed Merit Mechanical Claim Discussed ice slinging from wind turbines and WIOM. Signed claims missed during 2/12 meeting. Approved resolution for closing part of 835th Road. Discussed benefit option and self-funded plans. Sheriff Moore discussed Jail Funds in followup. NOTICE IS HEREBY GIVEN, that the regular meeting of the Neligh City Council will be held Tuesday, March 12, 2019 at 7:00 P.M. at the Neligh City Council Chambers. An agenda kept continuously current is available for inspection at the office of the city clerk. The Antelope County Board of Commissioners will accept sealed bids until 9:00 AM, on March 12, 2019, for armor coating of oil roads within Antelope County. Said bids are for the application of armor coating using county furnished materials. Successful bidder will supply the specified product from May 1, 2019 to December 1, 2019. Price should be per mile. All work to be done according to county specifications. Contractor must supply proof of bonding and insurance. Bids can be brought or mailed to the Antelope County Clerk’s Office, 501 M Street, PO Box 26, Neligh, NE 68756-0026 and will be opened at 9:45 AM, on March 12, 2019 in the Antelope County Commissioners Room, Antelope County Courthouse Annex. 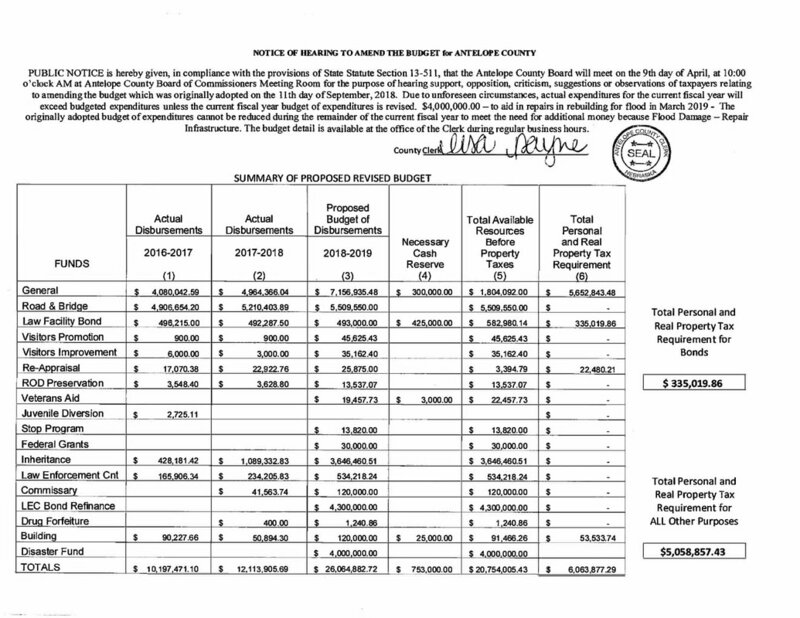 Envelope should be marked in the lower left hand corner with the wording, “Armor Coating Bid.” The County Board of Commissioners reserves the right to accept or reject any or all bids. President Hoke called the meeting to order at 7:04 p.m.
All Orchard Original Board members were present. President Hoke adjourned the meeting at 8:23 p.m.
To submit a notice for publication, email to news@myantelopecountynews.com.